Investments, global warming and crossing the road – risk is a factor embedded in our everyday lives but do we really understand what it means, how it is quantified and how decisions are made? 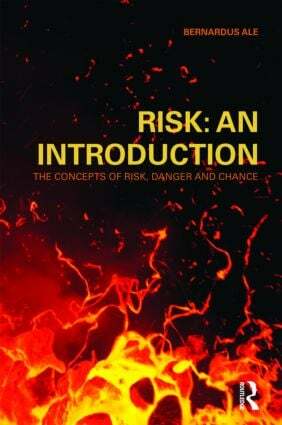 In six chapters Ben Ale explains the concepts, methods and procedures for risk analysis and in doing so provides an introductory understanding of risk perception, assessment and management. Aided by over seventy illustrations, the author casts light on the often overlooked basics of this fascinating field, making this an essential text for students at undergraduate and postgraduate level as well as policy and decision-making professionals. Developed from the Safety Science or Risk Science course taught at Delft University, this highly respected author has a lifetime of knowledge and experience in the study of risk.